Gordon would like to roster children from the local clubs to be Ball Kids for each home and away Gordon 1st grade game. This opportunity gives boys or girls the chance to be involved with the highest level of the game within our District. Below is a set of guidelines that ball kids and their guardians must observe. Gordon thanks each child chosen and their guardian for making the commitment to the Club and we hope that both find the experience rewarding. Boys or girls should be between 8 and 12 years and if asked to do a home game should also be available for an away game, so all games through the season are covered. There shall be at least 2 Ball kids and 3 if available. Most games commence at 1500. You will be contacted as to what time to attend. Usually for the first grade game arriving at 2.30pm is suitable. Before the game, Ball kids must report to the Gordon Ground Marshall. Ball kids must ensure there are sufficient match balls prior to the game commencing, and at its conclusion (basically one on each sideline and one being used on the field). These must be obtained from and returned to the Ground Marshall. Wear village club jersey, shorts, socks and boots. Ball kids must ensure there is always one ball on each side of the field during play and retrieve the ball following a goal kick. They must ensure a ball is available for restarts as quickly as practicable. Ball kids may rotate sides of the field during the game to facilitate availability of the balls. No Ball kid may prevent a player from reusing a ball, or touch a ball that enters touch with a view to a quick restart. Once dead, he may then retrieve it. Ball kids are under the control of the Linesmen and Referee at all times. Permission to enter the field of play must be obtained from the Linesmen or Referee prior to entry. Ball kids may carry a towel with which to clean or dry a ball prior to its use on the field of play. Ball kids may not cheer, coach, comment to or encourage a player from either side of the playing team. Please refrain from kicking the balls or joking around too much – you do actually perform a vital function and the players depend up on for your attention. Ball Persons must adhere to the NSWRFU Code of Conduct. One parent or guardian will be admitted to all games free of charge. Ball kids will receive one drink and an item of food eg pie/ sausage sandwich. Times and ground locations are available on the Gordon Rugby Website . Graduating from The University of Sydney with a Bachelor of Applied Science (Physiotherapy) in 2010. Philippe went on to earn a graduate position Royal North Shore Hospital which included rotations in Musculoskeletal, Plaster Casting, Emergency, Neurological, Multi-trauma, Spinal and Orthopaedic Physiotherapy. A highly experienced Physiotherapist with a demonstrated history of working in the sports and musculoskeletal Medicine industry. Skilled in Injury Prevention, Sports Injury management, Sports and Orthopaedic Rehabilitation, Musculoskeletal Physiotherapy, Dry Needling, and Sports Medicine. 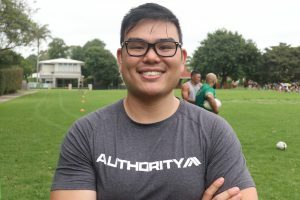 Philippe is currently operating out of Athletes Authority together with Head of Athletic Performance Tim Rowland to provide Gordon Rugby with its most comprehensive sports medicine and performance program in some time. 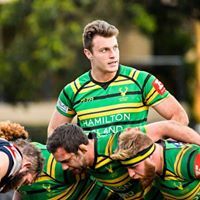 Fitness First will continue their support of Gordon Rugby for the 2019 season. Fitness First is the largest privately owned health club in the world. With this sponsorship our players will have access to 65 gym outlets throughout Australia. GRFC members are eligible to receive a 20% corporate discount with no sign up fee at selected Fitness First outlets on the North Shore. If you encounter any issues when signing up, please contact Justin Rodgie at jrodgie@gordonrugby.com.au. Once you become a Gordon Highlander you then become eligible to cover some medical costs through the allocated RugbyAU insurance policy. All necessary paperwork if required is available from the General Manager Christie Krenkels. Please email Christie at generalmanager@gordonrugby.com.au to get the necessary paperwork or if you have any further questions. 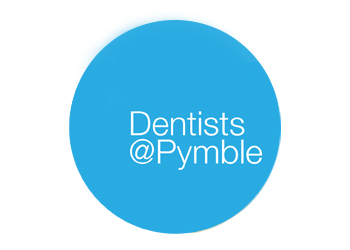 Dentists@Pymble have been caring for families since 1909. They offer their patients advanced dental care delivered by a team of highly experienced professionals.